Carey and Tammy Rogers have a 14-year-old son named Turner who has congenital myotonic muscular dystrophy. Turner has spent much of his life in and out of Children’s at Scottish Rite Pediatric Hospital in Atlanta. Recently, Tammy and Carey had hoped to celebrate their 21st anniversary with a night out, but unfortunately Turner had been rushed to the hospital on the eve of the celebration. “We just could not stand to leave Turner for even a few hours,” the parents said. 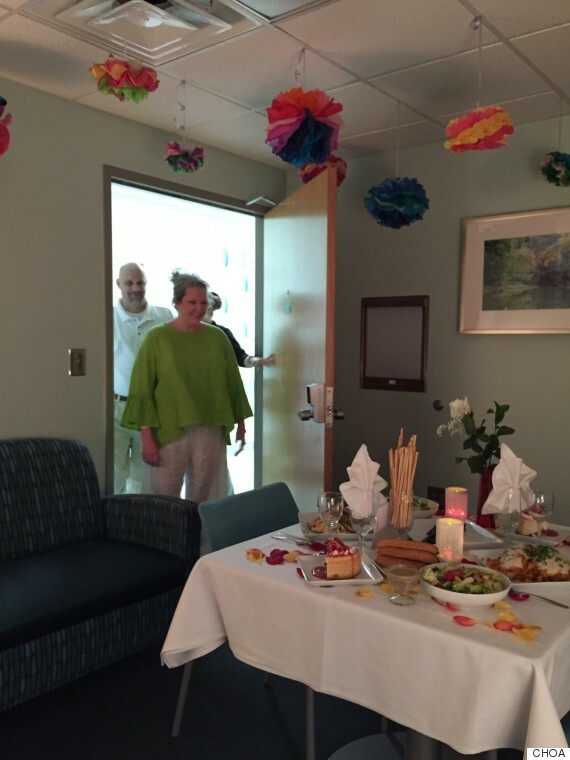 So the hospital decided to step in and help them celebrate their special day. 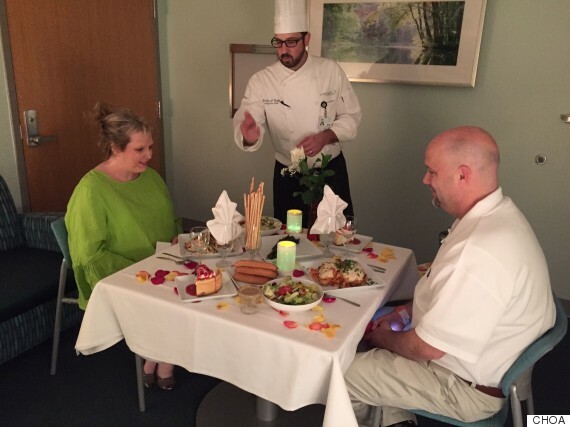 A group of volunteers transformed an ordinary conference room into a “private restaurant,” where the hospital’s own Chef Bradley served some of the couple’s favorite dishes over candlelight. The Rogers also received a red rose and a special invitation to their anniversary dinner. “We were overwhelmed and knew our 21st anniversary would be one we would always remember,” said the Rogers. Though couples should always work to reach a compromise, it’s important to “get your view points out into the open and come to a middle ground from the two views,” they said. Please share positive, uplifting articles using the social media buttons below. Thank you. Reblogged this on Making It Through. Class move for a class act. I love reading things like this, a million times better than fiction !